Environmental Service & Design can provide multiple skills and disciplines to a client. We are, in many cases, our client’s environmental department. Our relationships and experience allows us to take control of a company’s environmental concerns and set up a management system. Our monitoring and reporting structures have been developed and tested over time using advanced modelling and database structures. 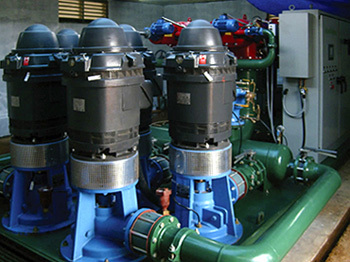 Environmental Service & Design have developed Environmental Protection Notices (EPN) and Environmental Management Plans (EMP) for all market sectors. Our role is to ensure all regulatory requirements are met so our clients can achieve the best result every time. Environmental Service & Design have a number of monitoring teams fully equipped to sample and despatch results that meet all Quality Assurance and NATA requirements. All our field equipment is calibrated to Quality Assurance stipulations. 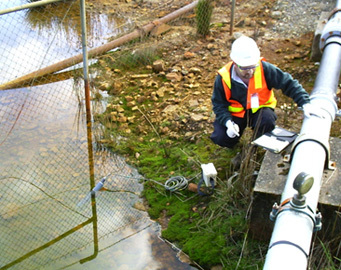 Environmental Service & Design meet all Australian Standards for sampling over a full range of fields, from surface water monitoring, groundwater monitoring, AUSRIVAS , river / lake monitoring, soils, dust and noise monitoring for EPN compliance also one third octive split. We have a range of deployable continuous monitors that record the full range of physical properties of water. A deployable High Volume Air Sampler (HVAS) will monitor dust to NATA standards. Data can be presented as received or processed into reports or graphs and a database can be developed if a full system is required. Geotechnical and Asbestos Assessments can also be conducted where required and other contaminants monitored and reported where necessary.